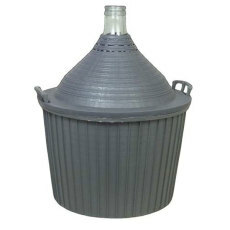 A 3 gallon glass carboy, ideal for port wines or splitting batches of beer for experimentation! 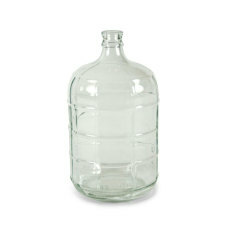 A 6 gallon glass carboy that is the perfect size for making world class wines! 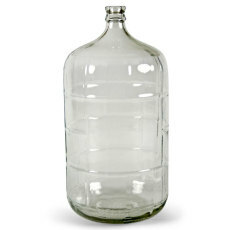 A 6.5 gallon glass carboy, perfect for use in primary fermentation of 5 gallon batches of beer. 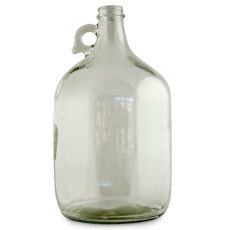 A clear 1/2 gallon growler often used in transporting beer. 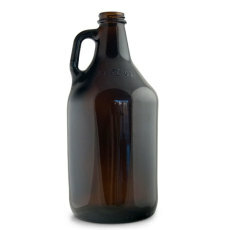 A standard 1/2 gallon amber growler used in transporting beer. 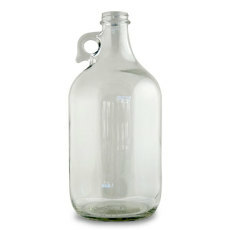 A gallon glass jug with a myriad of uses, from 1 gallon batches of wine to small test batches of beer! 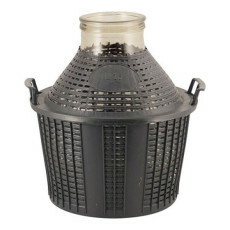 A 54 Liter (~14 gallon) glass fermentation vessel with a handy carrying basket! Made in Italy. 34 Liter (roughly 9 gallons) glass DemiJohn with a wide mouth. 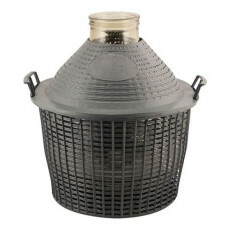 Wide mouth design makes it easy to clean or remove things like fruit. Plastic carrying case allows for easy moving around. 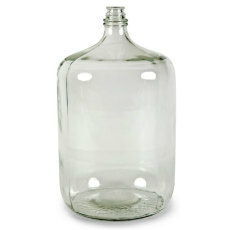 15 Liter (roughly 4 gallons) glass DemiJohn with a wide mouth.